It's time for another All Whisked Up reveal. The members of Wisconsin Whisk get together and secretly peruse another blog and make something fun to share. This month I was assigned the blog Wisconsin Fun Next Exit written by Erica. Erica lives in Madison and considers herself a "mostly vegetarian". 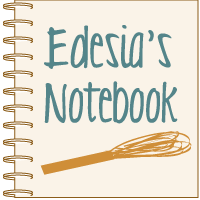 Erica has lots of great recipes on her blog. I nearly chose her baked cheesy eggs; and I still want to make those! I am always looking for new ideas for breakfast. But then I saw this cheeseball, and I knew I had to make it. 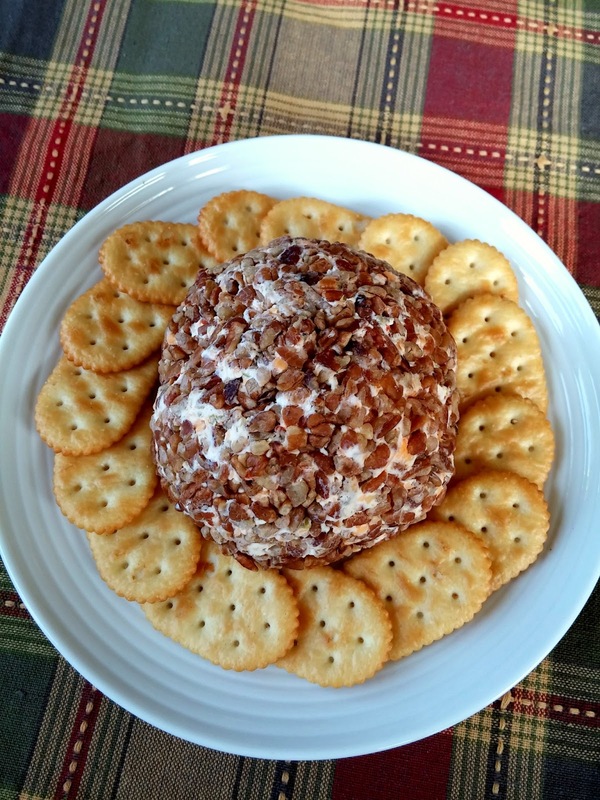 Like Erica's family, my family always served cheeseballs at holidays. It was kind of a special occasion thing. I love how this recipe is personal to Erica. She even included a pic of the recipe card her grandmother hand-wrote. Love it! 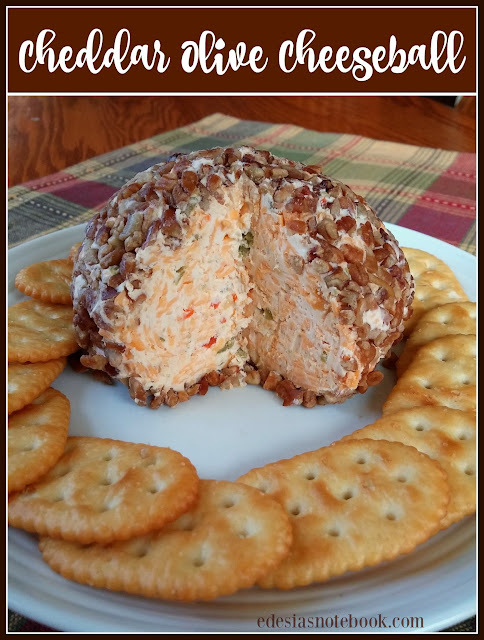 I had never made a cheeseball with olives in it, but I thought it sounded genius. Place cream cheese in a mixing bowl. Add cheddar cheese and onion flakes. Pulse green olives in food processor until chopped, but not pureed. Add to cheese mixture and stir well. Lay out a piece of plastic wrap and place the pecan chips in the center. Form cheese mixture into a ball shape and place it on the pecan chips. Roll it around to cover with the pecans. Close up the plastic wrap around the cheeseball and refrigerate for 4 hours. Remove from refrigerator and let soften a bit before serving. Makes 6 (2.5 oz.) servings. This is a really great cheeseball. And it really couldn't be simpler to throw together. I cut Erica's recipe in half; I think hers was meant to make two cheeseballs. I used Penzeys Toasted Onion Flakes, but regular onion flakes will work fine too. Don't you just love the little flecks of red and green inside? Perfect for Christmas! I enjoyed getting to know Erica and her blog this month. Thanks for a great recipe, Erica! Be sure to check out all the other great Wisconsin bloggers below.